As the weather becomes increasingly, unpredictably warm, I keep hearing mentions of outdoor parties and BBQs. Although I like a good get-together, I often struggle with finding the perfect dish to take. Hot or cold? Basic chips and salsa or something that is way more time consuming? It might be trivial but let’s face it, you are guilty of having a similar internal conflict at one time or another. 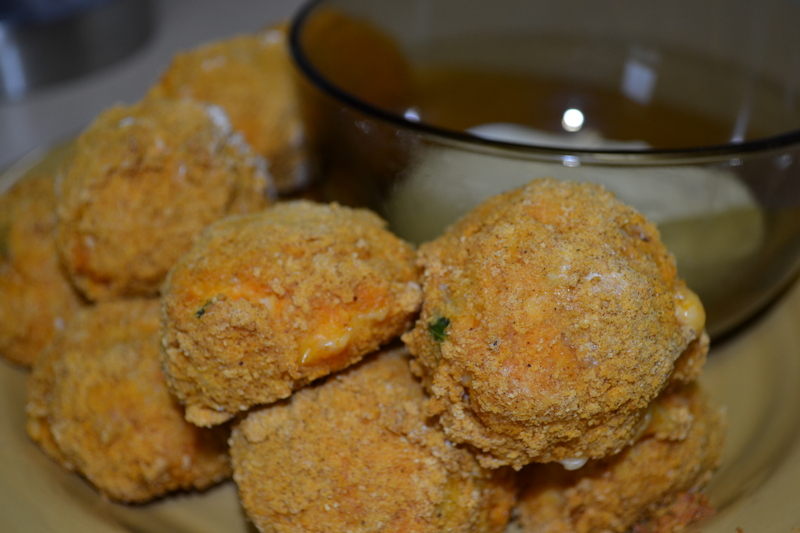 To aid in your party-going, appetizer-bringing maddness, I came across this easy recipe for buffalo chicken bites. Enjoy! Preheat over to 350 degrees. Line a large baking sheet with parchment paper. 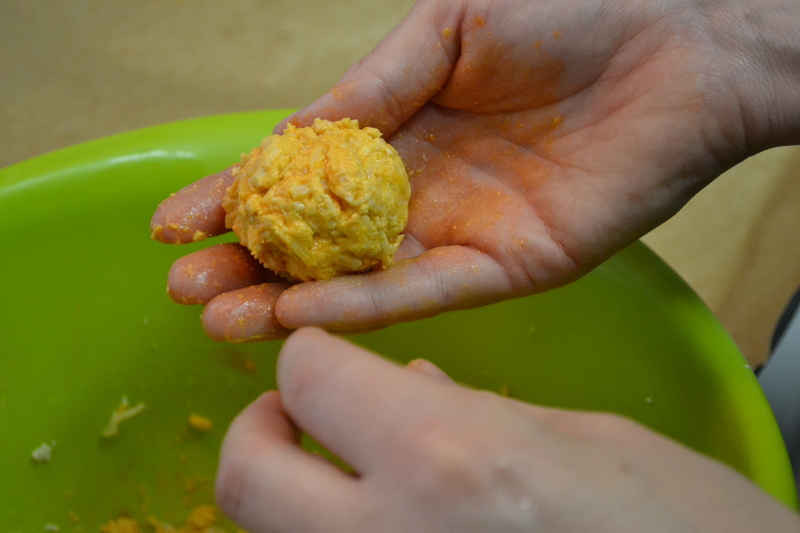 In a large bowl, combine chicken, cream cheese and hot sauce, cheddar cheese and green onions. 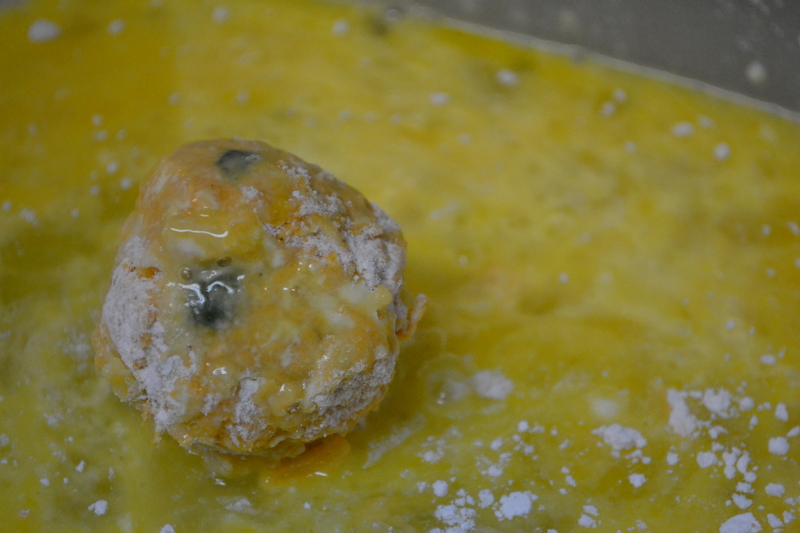 Roll a heaping tablespoon of mixture into a 1½-inch ball and place onto a plate or separate baking sheet. Repeat with the remaining mixture. Place flour in a shallow dish. In a second shallow dish, place eggs. In a third shallow dish, empty Shake n Bake packet contents. 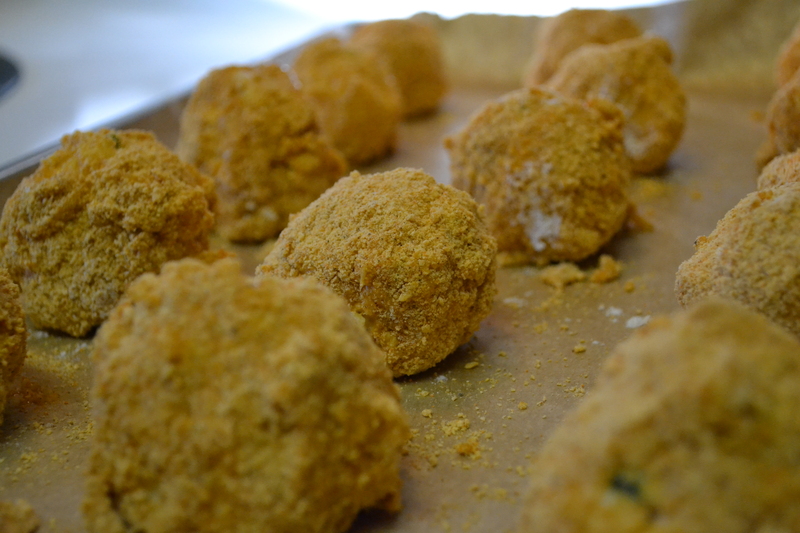 Dip each chicken ball first into the flour, then the egg and ending with the Shake n Bake. 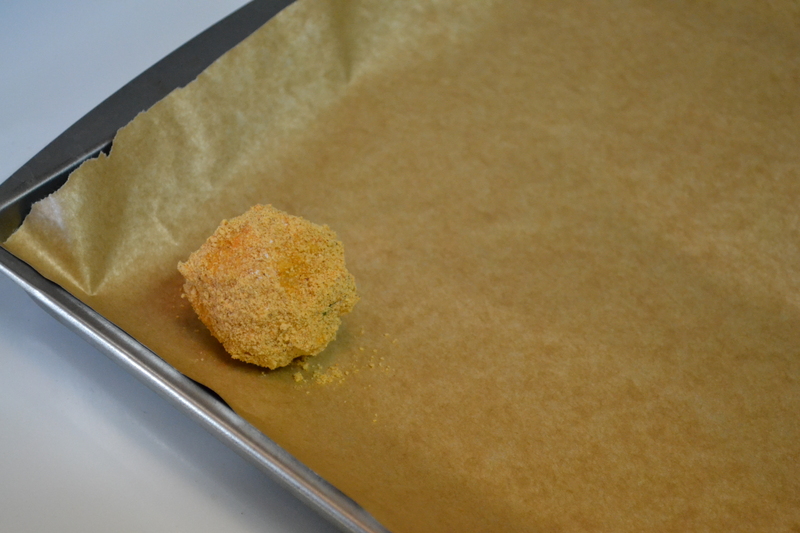 Place on the prepared baking sheet and bake for 20 to 25 minutes. Serve warm with ranch or blue cheese dressing.